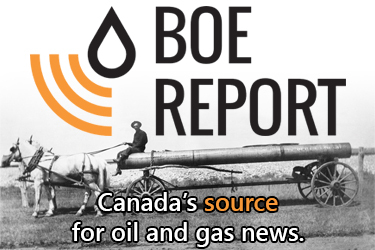 The future of canada’s oil and gas industry will be impacted by the result of two upcoming elections; April’s provincial election in Alberta and a federal election that must be held by October of this year. The past four years have been extremely difficult on the energy industry and families working directly or indirectly with the sector. Countless environmental groups have fought hard against pipelines. Bills C-69 and C-48 are currently before Senate committees, and political parties have put themselves right in the middle of the battle over how to best balance the economy. During this ongoing downturn, Canada has endured price differentials, lack of pipeline capacity, railway bottlenecks, pipeline delays and production curtailments. These problems have resulted in layoffs, companies moving to the US, empty office buildings and a loss of nationwide competitiveness. While the task of reducing climate change is a formidable issue, solutions for reducing emissions can be created without eliminating fossil fuels. If global demand for energy is expected to increase over the next few decades, why not allow Canadian producers, who produce the cleanest, high quality and ethical products, to supply that demand? Provincial and federal governments are in disagreement over what the best course of action to tackle climate change is. Environmental groups have put pressure on local, provincial and federal governments stating fossil fuel producers should be held responsible for creating Canada’s global emissions, which is untrue. The oil and gas industry only represents 21 per cent of Canada’s emissions, while the entirety of Canada’s emissions contributes a mere 1.5 per cent to global emissions. Political powers have played a significant part in the progress (or lack thereof) of pipelines, such as the Trans Mountain Expansion, Enbridge Line 3, and the introduction of legislation such as Bill C-69 and Bill C-48. CAPP released a document, called Oil and Natural Gas Priorities for a Prosperous Alberta, which outlines goals and policy recommendations by which any political party could improve its policies to help make Alberta the global energy supplier of choice. This campaign is called the Vote Energy Campaign. 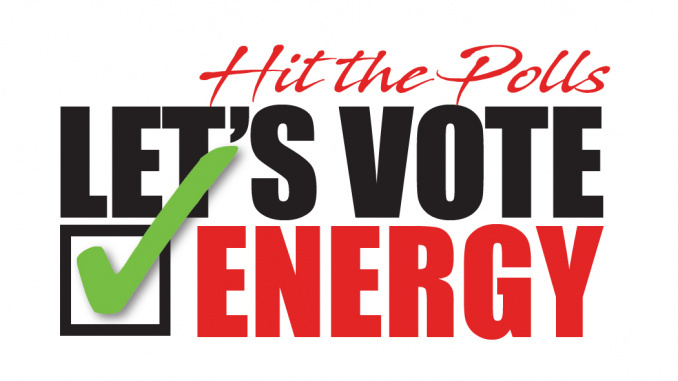 The Vote Energy Campaign focuses on four priority areas that outline the challenges facing Alberta’s oil and natural gas industries. Market Access — Improved market access for both oil sands crude and conventional oil and natural gas is a key contributor to industry competitiveness. We have an opportunity to supply the world with sustainably-produced energy, but first we must find a way to get our resources to Canada’s coasts for global export. Regulatory Competiveness — Alberta has world-leading standards, but the province is also home to a byzantine and, some would say, overly stringent regulatory regime. There is a significant opportunity to create a more predictable regulatory process and help achieve industry competitiveness while maintaining world-class environmental and regulatory outcomes. Climate Policy — Climate policy is critical for Alberta’s oil and natural gas industry to be a supplier of choice in meeting the growing global demand for energy. We encourage and support climate policies that are efficient and effective, and take into account cumulative impacts. Fiscal and Economic Policy — A provincial fiscal framework that is globally competitive, market-driven, encourages innovation, and positions Alberta’s oil and natural gas as the energy investment of choice is critical for the province’s oil and natural gas industry. As the Alberta provincial election approaches, the team at the Hitch wanted to provide a brief outline of each party’s energy policy platform. All policies have been taken from the parties’ respective websites and are as comprehensive as possible as of time of printing. We encourage all Albertans to take some time to understand these policies and Vote Energy on election day. The United Conservative party platform indicates that its first order of business as a prospective governing party will be to pass the Carbon Tax Repeal Act. The party believes that this will create 6,000 new jobs in the province. The UCP would also subject any future carbon tax to the “Alberta Taxpayer Protection Act” which requires approval via referendum to enact a new sales tax in the province. The party wants to bring in an updated version of the province’s 2007 carbon-pricing model by establishing a Technology Innovation and Emissions Reductions regime for large industrial emitters. A UCP government would also seek to decrease the length of time it takes to approve a well by increasing hiring within the Alberta Energy Regulator. The party platform includes a plan to establish clear benchmarks for approval times, maintain a public dashboard of the AER’s key performance metrics, and to streamline the AER approvals process in order to increase investor certainty. The UCP also wants to increase regulatory efficiency and expedite project approvals within the province’s natural gas sector by working with other provinces and the federal government to evaluate tolls, tariffs, and interconnection within the TransCanada Pipeline System through to export points in Canada’s central and western provinces. A UCP government promises to facilitate First Nations financial participation in major resource projects, including oil and gas projects. The party’s plan to increase market access is detailed, but includes filing a constitutional challenge against Bill C-69 (should it become law) as a violation of Section 92 of the Constitution Act, which gives Alberta exclusive jurisdiction over the production of the province’s oil and gas. In addition, the UCP would restrict the flow of oil and gas to other provinces, should they continue to obstruct pipelines and build a coalition of provinces with a common interest in increasing market access and the prospects for Canada’s oil and gas industry. 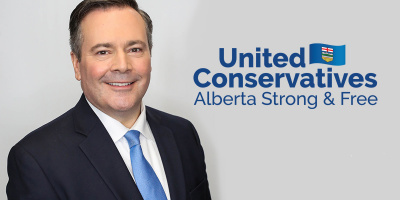 The UCP also proposes the establishment of an “energy war room” to counter foreign opposition of the province’s oil and gas industries and dispel misinformation and divestment efforts that impede investment in the industry. The Alberta NDP Government will expand programs that “encourage companies to add value to our oil and gas product: The Energy Diversification Act commits up to $2.1 billion to leverage private investment in new partial upgrading programs. The party has promised to deliver on $75 billion in new investment and 70,000 new jobs through this initiative. 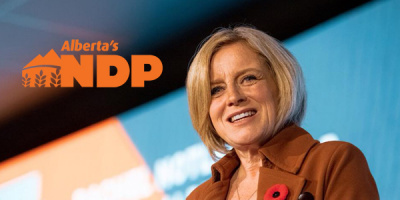 In addition, the NDP platform includes a section on ensuring the province gets full value for its resources through “carefully manage[d]” curtailment and a crude-by-rail plan. 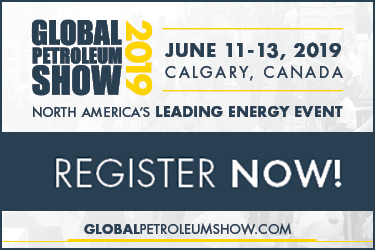 Both of these approaches aim to minimize the current price differential between Western Canadian Select and West Texas Intermediate light sweet crude. The party will “will continue to fight for additional pipeline capacity, including getting the Trans Mountain expansion built” by pressuring the federal government to re-approve the project. In terms of the drilling and service sector, the NDP plans to review transportation regulations, including considering re-classifying rigs as off-road vehicles, creating an annual provincial road permit, and pushing the federal government to harmonize rig classification standards to improve interprovincial operations. The Alberta Party also wants to add value to Alberta’s oil and gas resources through increasing refining capacity and petrochemical processing in the province. Specifically, the party has promised to invest in the production of bitumen pucks, increase Alberta Innovates funding with a focus on material sciences and exports of other value-added petrochemical products. The party also promises to expand refining capacity in the province, by (among other things), supporting construction of phases two and three of the Sturgeon Refinery. 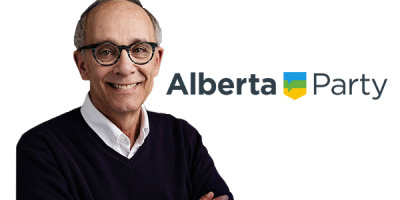 The latest Alberta Party policy statement also promises to expedite the review of necessary approvals for the Government of Alberta’s Bitumen Royalty in Kind program. In addition, the party proposes the creation of a Gas Royalty in Kind program to stimulate petrochemical processing in the province. The ABP will also expand the NDP’s current annual petrochemical diversification program as a 10 year program with a view to making it more predictable for industry. The Alberta Party Caucus 2018-2019 shadow budget proposes to exempt homes, businesses, farms, and non-profits from the carbon tax. Revenues would be offset by cuts to personal and corporate income taxes. The party also sees the need to encourage the transition to an increasingly decarbonized energy system, where generation is shifted from centralized fossil fuel based sources to a localized renewable energy sources. 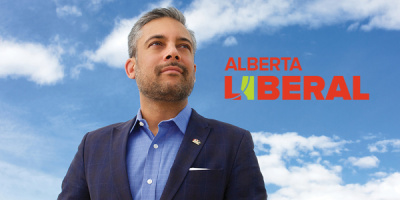 The Alberta Liberal Party believes Alberta should prepare for a ‘post-carbon age’ by focusing on economic diversification and innovative technologies to secure Alberta’s resilience to the volatility of oil prices over the longer term. That said, the party would also focus on twinning and upgrading the current Trans Mountain pipeline by “demand[ing] an interim report that details their efforts to comply with the Federal Court of Appeal’s decision and the status of the consultation process with affected First Nations in Alberta and British Columbia.” The party has also committed to amending Bill C-69 to decrease investor uncertainty and encourage “socially-responsible investing.” The Alberta Liberals also want to reopen the national conversation around Energy East with an eye to increasing Canadian energy independence, as well as increasing funding for provincial green energy projects. The Green Party recognizes Alberta’s ethical obligation to “contribute to the solution of climate change and supports an orderly transition from dependence on fossil fuel exploitation to reliance on the full range of renewable energy sources available in the province.” This includes wind, solar power and geothermal. The GPA is against any expansion in the rate of production from the oil sands. The party is opposed to construction of Northern Gateway, Keystone XL, and the now-shelved Energy East pipeline project. The party believes Albertans should live within our existing pipeline capacity and opposesthe construction or expansion of any pipeline that transports bitumen from Alberta. The party will improve government monitoring of all pipelines and support tightening up laws and regulations concerning the transport by train of bitumen, hydrocarbons and dangerous goods. 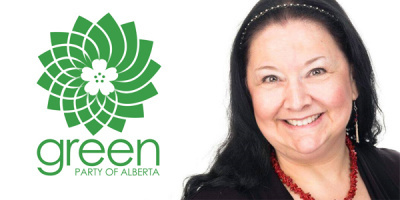 A Green Party government would ban multi-stage, high pressure hydraulic fracturing in Alberta. 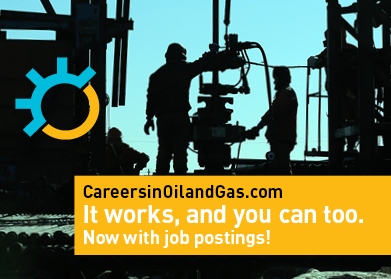 As an Albertan, we encourage you to vote for the growth of our oil and gas industry. As the global energy supplier of choice, Canada can work toward supplying the world with ethically and responsibly-produced oil and gas. Register to vote. Visit elections.ab.ca/voters/voterlink to register. Registration takes less than five minutes to complete. You will need to provide your Driver’s Licence number or Alberta Identification Card number. Find your polling station. Visit https://map.elections.ab.ca to find your voting zones and respective polling station. Circulate this information to your family, friends, employees, and colleagues. There is always strength in numbers. Give your peers the knowledge and tools to make an educated decision when it’s time to hit the polls. Plan ahead. If you plan to be away during Election Day, you may vote at an any advanced poll in Alberta. Advance polls take place the week before Election Day, on Tuesday April 9, Wednesday April 10, Thursday April 11, Friday April 12, and Saturday April 13. Special ballots can also be requested at elections.ab.ca/current-election-information/special-ballots. Give your staff time off to vote. If you are in a position to do so, give your staff time off to vote. According to Statistics Canada, 23 per cent of eligible voters don’t vote because they report being too busy. Vote Energy. A vote for energy is a vote for a prosperous future. Do your research and make an informed decision that will shape the future of Alberta and its people. All policies are the most accurate that could be found at the time of printing. All information has been edited for clarity and length. For more information, visit each party’s website as well as the Vote Energy campaign website at www.voteenergy.ca.